What's Up? The Space Place: UPDATED HAPPY WINTER SOLSTICE NORTHERN HEMISPHERE! UPDATED HAPPY WINTER SOLSTICE NORTHERN HEMISPHERE! The EXACT moment of the Winter Solstice is today, December 21, 2017 at 11:28 a.m. EST. The Sun will be at its lowest point in your sky for the year and the night will be the longest. We start gaining more daylight each day after. 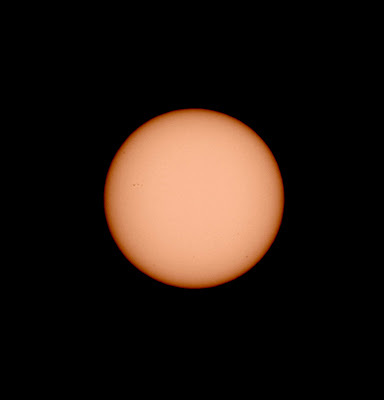 I hope to post a pic of the Sun at the moment of the Solstice later.